Fashion Gossip: Are you ready for Summer? Gentlemen, your attention please! Are you ready for Summer? Gentlemen, your attention please! Given that one of the most popular TAG Heuer releases was the Aquaracer 500m Full Black watch, it comes as no surprise that we now have an Aquaracer 500m Chronograph with the Full Black treatment. We here at FG10 are in love with the all-black look of the Full Black. 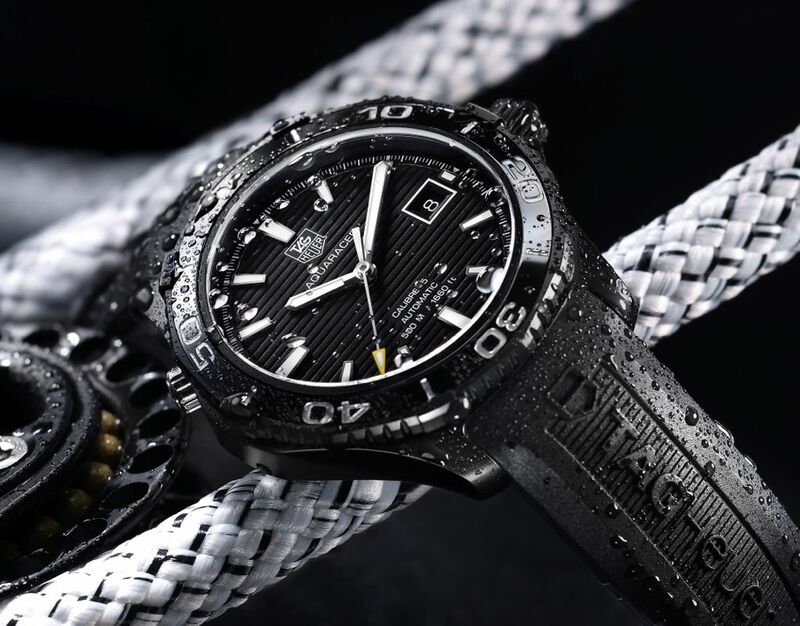 TAG Heuer have really revived the black-on-black look over the last couple of years, with black case versions of the Monaco, Grand Carrera, Formula One and now Aquaracer joining the range. Hats off to the beautiful minds behind these gorgeous pieces!